Huawei Y6II	No ratings yet. GFive GPower 5	No ratings yet. Motorola Moto E4	No ratings yet. QMobile Noir S6 Plus	No ratings yet. QMobile Noir LT700	No ratings yet. QMobile S9	No ratings yet. QMobile Noir LT680	No ratings yet. QMobile Noir Z8	No ratings yet. QMobile QInfinity E	No ratings yet. Sony Xperia Z5 Compact	No ratings yet. QMobile Noir S8 Plus	No ratings yet. QMobile Noir M350 Pro	No ratings yet. Motorola Moto C Plus	No ratings yet. QMobile Energy X2	No ratings yet. Lenovo C2 Power	No ratings yet. 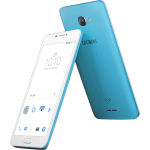 Alcatel Pop 4S	No ratings yet. Infinix Hot 5	No ratings yet. Huawei Y5 2017	No ratings yet. Rivo Phantom PZ15	No ratings yet. QMobile QInfinity Cinema	No ratings yet. Huawei Y6 Pro	No ratings yet. QMobile Noir A3	No ratings yet.